You probably already saw a railgun in action, but perhaps not the end result. 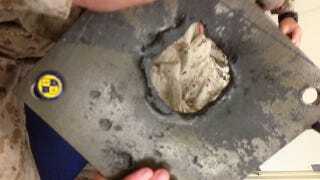 This is how one of those thick steel plates look after being shot. The kinetic projectile just doesn't give a damn.